Triple7 Heavy Duty is a powerful water based, quick break degreaser and cleaner that is free from toxic or hazardous chemicals making it safe to use and eco-friendly. 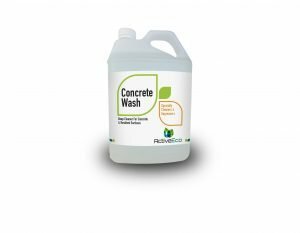 This specially formulated chemistry penetrates and lifts hydrocarbon soils including fats, oils, greases and proteins without creating permanent emulsions which can cause major issues for waste water systems and the environment. 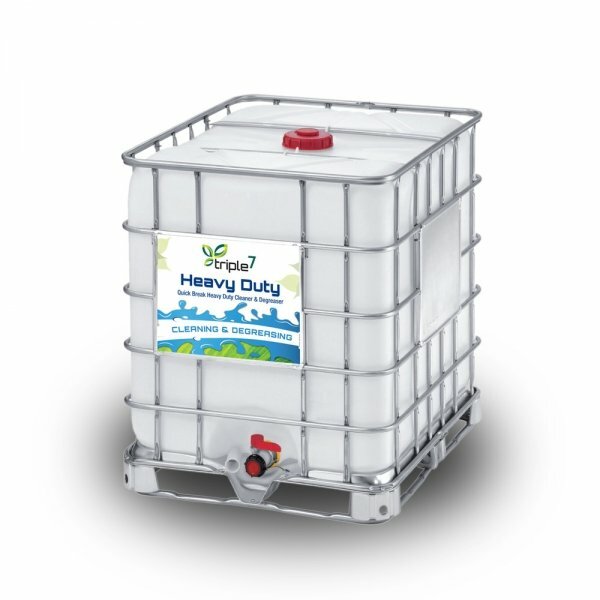 Due to its highly concentrated properties, Triple7 Heavy Duty is extremely cost effective. 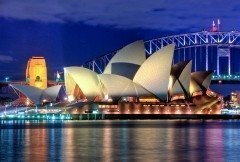 For general cleaning applications 1Litre of product will make 10Litres of Ready-to-Use cleaning solution. Triple7 Heavy Duty can be applied via wiping, misting, pressure washers or soak-tanks. For heavy duty engine degreasing mix a 1:1 solution of Triple7 Heavy Duty. Spray on, allow to stand for 5 minutes then rinse with clear, high-pressure water. For engines with particularly thick oil coatings allow degreaser to stand for 15 minutes and rinse with high pressure warm water. 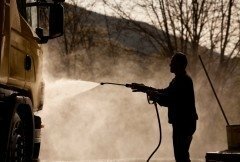 To degrease and clean truck wheels and undercarriages use a 1:1 solution and rinse with a high pressure cleaner after allowing to stand for 5 minutes. for tyre walls, apply a 1:10 to 3:10 solution of product, agitate with a sniff brush then rinse. 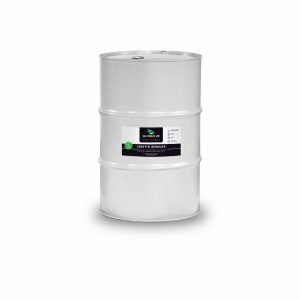 Degreasing – Triple7 Heavy Duty is an effective degreaser for swab, spray or soak tank applications on painted or unpainted surfaces and ferrous or non-ferrous metals. 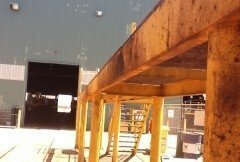 For medium to large applications, apply the product with a sprayer (use in concentrated form for heavy deposits). Let stand for 5 minutes, scrub if necessary and rinse off with warm water (50°C) or a final steam rinse. Very heavy duty degreasing projects such as charred oil or fuel enamel, often require a solvent to expedite the cleaning process. If so apply Triple7 Easysolve, let stand for 10 minutes, then apply a 1:10 solution of Triple7 Heavy Duty at 40°C, followed by a warm water rinse. Please note: that where a warm water pressure clean is used, the solution strength of Triple7 Heavy Duty may be reduced to 2:100, followed by a final water rinse. Is non-ionic – degreaser works by ‘lifting and releasing’ to give a better clean. 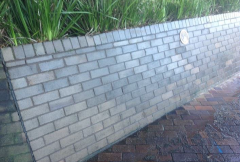 As a clean and degreaser for concourses, ceramic tiles, pavers and concrete paths – Triple7 Heavy Duty works best using a hot water high pressure washer. Atomisation poses no problem as the product is non-hazardous to people or clothing when used as directed. Pre-treat difficult areas with a 1:5 solution of the product in water and let stand until soiling is loosened. For normal applications, mix 1:100 to 2:100 solution (stronger if necessary) and spray apply. Brush with a broom for ingrained dirt and allow to stand for a few minutes. If using a pressure washer, start at one edge holding the spray nozzle at approx. 20cm from the surface at a 45° angle and move forward, so that the water can penetrate under the loosened grime and roll it in front of the spray nozzle. Two passes may be necessary for deep in-grained stains. On vertical surfaces, always start at the bottom of the vertical surface to be cleaned and apply the solution upward. The actual cleaning is accomplished by rinsing with water. 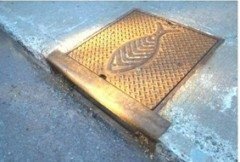 Two passes may be required to remove hardened soil or deep stains in concrete and masonary. Floors and tiles – Triple7 Heavy Duty is used for mopping wooden, vinyl and ceramic floors. For light soiling use a 1:100 to 2:100 solution in warm water and mop surface. No rinsing is necessary. If the contaminant is heavy with grease and oils, use a 1:10 solution of Triple7 Heavy Duty in hot water for optimum degreasing effect. Spray on, allow to stand for 5 minutes and scrub with a broom or stiff brush, then rinse off with warm to hot water. Too strong a mix will leave floors tacky and may remove polish. If desired add ethanol to the water to aid drying. To remove a heavy wax build-up, mix a 1:1 solution of product in hot water, spray apply, allow to stand for 30 minutes and wash off with hot water. Repeat if necessary. Garage Degreaser – To clean and degrease driveways and garage floors, mix a ratio of 1:1 Triple7 Heavy Duty and water. Brush with a stiff broom. Allow to penetrate for one hour then brush and rinse. Rinse from in front of you and move forward, aiming the hose or spray gun at an angle from the ground, to lift the grime and roll it away from you. 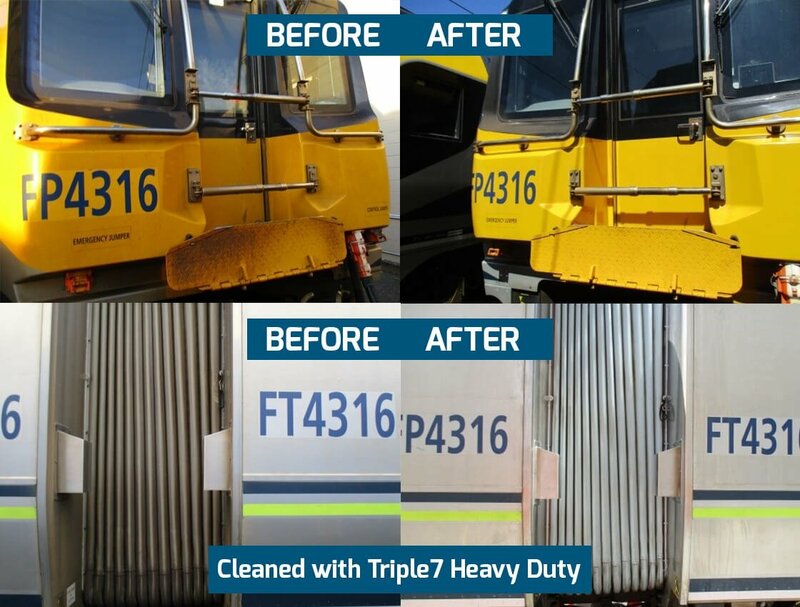 Triple7 Heavy Duty is a quick break surfactant degreaser specially designed to lift oil, grease and other hydrocarbon soils from the cleaning surface without forming a permanent emulsion. 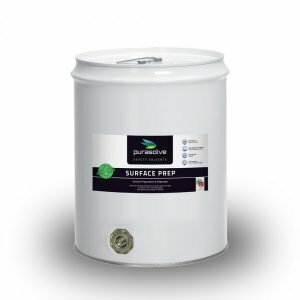 The quick break properties of our industrial degreaser and cleaner range also optimizes the performance of oil water separators which can drastically reduce the costs associated with wastewater disposal. Most industrial cleaning tasks require the removal of mixed soils, which is a combination of both organic and inorganic materials. In these situations organic contaminants such as oil and grease built up on equipment where they bond with dust, dirt and other matter. Triple7 Heavy Duty effectively and quickly removes both types of soiling with no negative effects on the cleaning surface. 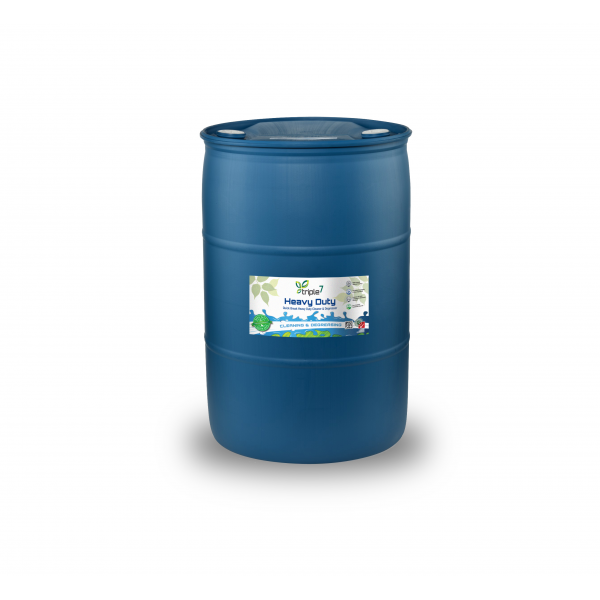 Triple7 Heavy Duty is a powerful environmentally safe solution that removes all common mould, mildew, moss and other spore-form organisms without damage to the cleaning surface. 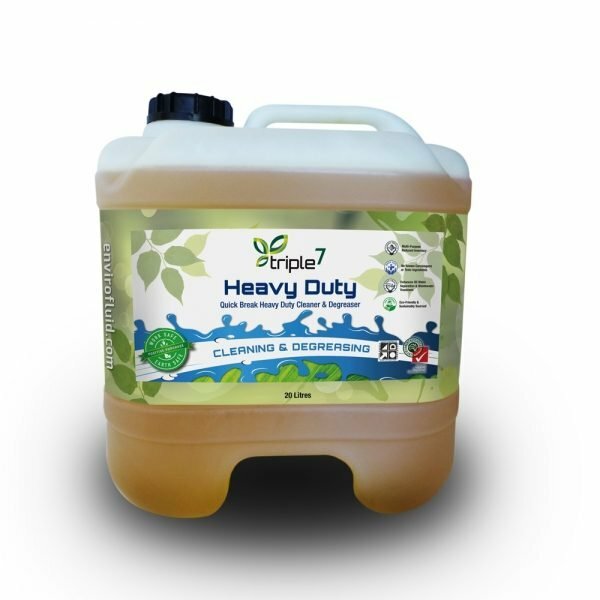 The non-toxic and chlorine free solution, Triple7 Heavy Duty safely removes heavy build-ups of organic soiling while eliminating related odours. What’s more, the result is lasting. In many outdoor scenarios there has been no visible mould or mildew regrowth even after 12 months from the initial clean. For lighter mould applications where a light sanitising treatment is required, the use of ActiveEco AquaSmart is recommended. Triple7 Heavy Duty is a non-aromatic plant based Industrial solvent that gives the extra ‘bite’ for heavy build-ups while protecting painted and unpainted surfaces. Unlike caustic cleaners, Triple7 Heavy Duty does not ‘burn’ off soil to clean but uses the power of colloidal suspension to surround the soil so that it can be lifted away without damaging the cleaning surface. Triple7 Heavy Duty penetrates and lifts hydrocarbon soils including fats, oils, greases, proteins and sugars. Triple7 Heavy Duty is a quick break degreaser which improves oil/water separator efficiency, making your waste water systems perform better, increasing system capacity, reducing maintenance costs, and enabling water recycling. Triple7 Heavy Duty has no Hazchem rating so it needs no special storage areas, lowering the cost of transport, handling and storage. Triple7 Heavy Duty may be filtered of contaminants and reused or recycled for long-term cleaning systems – a cost saving for you and best of all, the product is acceptable for landfill disposal. Triple7 Heavy Duty is highly concentrated, so a little goes a long way. Plus, you can use the product for so many different applications – you don’t need a lot of different products – making it simple for your staff to use. Triple7 Heavy Duty does not contain chemicals determined by the EPA or OH&S to be carcinogenic or suspected carcinogens, therefore you are preventing future litigation claims. You can replace hazardous degreaser and cleaning products without changing equipment or procedures and because Triple7 Heavy Duty performs as well or better than other degreaser products whilst being free of hazardous air pollutants and toxic chemicals. Triple7 Heavy Duty contains no ozone depleting chemicals or hazardous air pollutants and the product is 100% biodegradable. Furthermore, Triple7 Heavy Duty will not upset the balance of nature’s ecosystems and you will have no problem with run-off polluting our waterways. 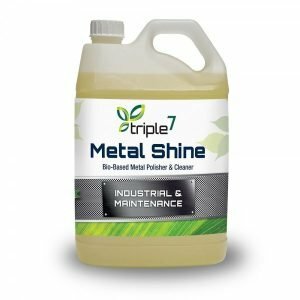 Triple7 Heavy Duty may be applied manually as a general cleaner or degreaser, through sprayers, pressure washers, steam cleaners, auto scrubbers, parts washers, ultrasonics, dip baths or foaming, washing and dispensing equipment. Triple7 Heavy Duty is low foaming, free rinsing, highly miscible in water and may be rinsed with hot or cold water. Because Triple7 Heavy Duty is non-corrosive, it is safe for metals, rubber and virtually all other surfaces, and what’s more, residual Triple7 Heavy Duty acts as a rust inhibitor and is a natural lubricant. Triple7 Heavy Duty has accreditation, making it a powerful degreaser that is safe to use in Registered Meat Establishments.